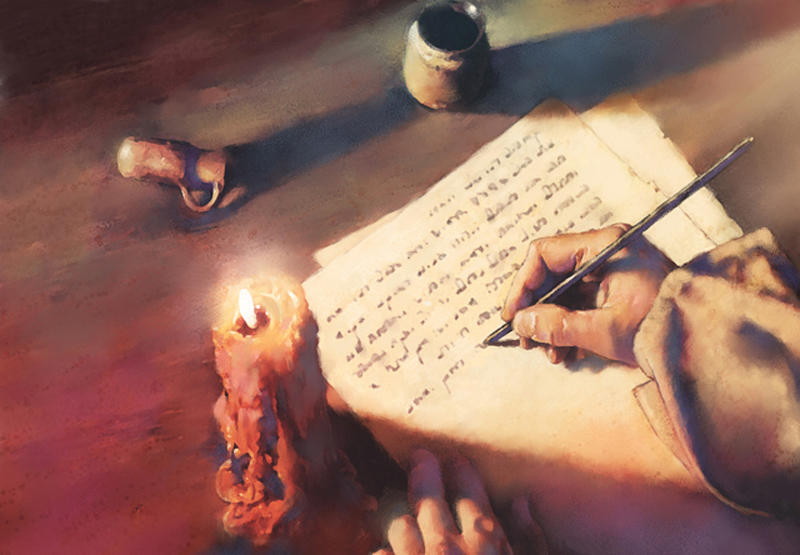 FaithWeb: Who Wrote the Bible? A team of scholars in Israel, though, is trying to answer the question in a slightly more nuanced way. Using powerful new computer applications, they hope to be able to more completely answer the question of how God used human beings to compose the Bible. By running the biblical text through their computers to analyze, grammar, syntax, vocabulary, and so forth, they say they can identify the different writers whose work forms the Scriptures. For instance, the Pentateuch – the first five books of the Old Testament – has for over a century been believed by scholars to have been the work of more than one author. Various clues, including the name used for God, have been posited by these scholars as a way of determining which sections were contributed by which authors. The team - Moshe Koppel, Navot Akiva, and Nachum Dershowitz and his son, Idan Dershowitz – all computer scientists or biblical scholars at universities in Tel Aviv and Jerusalem, announced recently the results of their work with the Pentateuch and other biblical texts. As a test case, the team first randomly jumbled the books of Ezekiel and Jeremiah, and the computer was able to sort the mixed-up text back into its component parts “almost perfectly.” With that known result under their belts, the team ran the Pentateuch through their computers. They found that their software was able to verify the academic opinion of the authorship of the Pentateuch about 90 percent of the time. In other words, the vast majority of the time the computers divided the text according to different authors in the same way human scholars have. You might imagine the team members are skeptics. You'd be wrong. Three of the four members of the team are religious Jews who, despite their computers' findings, still believe that the Pentateuch was dictated by God to Moses in its entirety. They say he just used differing styles, accounting for the computers' results. That may be, of course. Still, why couldn't a God who could dictate a book in its entirety not communicate that same book through various human writers? And why could he not guide an editing process through which the text as we know it came into being? Does that make the text any less his word? God has always used people, with all their frailties and inconsistencies, to carry out his will in the world. He used Aaron's rod, Moses' staff, David's sling, a donkey's jawbone in Samson's hand, Peter's boat – the list goes on. So I don't think it should cause a big crisis of faith for us to discover that he may have used the pens of more people than we may have thought, some of whose names we'll probably never know, to communicate his word. Personally, I like the thought of an editor or some editors being led by the Holy Spirit as they put together different texts by different authors into what we know as the story of the patriarchs and the Exodus. I like the thought of a student of Isaiah's, thrilled by the prophet's words to an earlier generation of Israelites, led by God to write an “Isaiah-like” response to events in his own time. I think that even might be what makes the Bible the Bible. I mean that when we read the Bible, we come away with a clear sense that God is speaking to real people with real problems in a real world. And what better way to do that than through people who were there on the ground, sandals dirty with the pain, uncertainty, and messiness of life? Paul knew and cared about the church in Corinth when he wrote them. Jeremiah saw the siege works around Jerusalem. John knew first-hand that the persecuted church needed encouragement to remain faithful when he wrote Revelation.The psalms still resonate with the pleas and worship their authors offered to God. It might very well be that they didn't know who, if anyone, would read their words. Maybe they couldn't have explained how inspiration works. But the human element in the Bible doesn't negate the divine. In fact, it makes the text that much more immediate and relevant for other human beings – like you and me. We mustn't make the mistake that some believers, properly concerned about being faithful to the Bible, wind up making. We mustn't imagine that God's word can be restricted to words on a page, however convinced we are that the Bible is God's word. While the written text is, for God's people, certainly the word of God, it is an especially subtle form of idolatry that elevates the text above its true Source. The writers of the Bible didn't make that mistake, after all; they recognized that their own writings were just one particular way in which God has chosen to express himself. “The Word became flesh and made his dwelling among us,” wrote John. In Jesus, John wrote, “we have seen his glory, the glory of the One and Only, who came from the Father, full of grace and truth.” Jesus cautioned the Bible-believing people of his day against a bibliolatry that makes a particular understanding and interpretation of the text into a god to be served and worshipped. “You diligently study the Scriptures because you think that by them you possess eternal life,” he said of those who failed to trust in him. “These are the Scriptures that testify about me, yet you refuse to come to me to have life.” The Bible testifies to the work of God in the world, especially through Jesus. It was never intended to be a criterion of faith or a password to distinguish the faithful from the unfaithful. The church, it seems, has always looked on those who engage in academic study of the Bible with suspicion, imagining that their work would somehow undermine the text. We've been less willing to look honestly at ourselves and ask whether our own refusal to obey God's word has perhaps undermined it more completely than the most liberal scholars. In the end, the most important question is not who wrote which parts of the Bible. It's simply whether or not we're willing to hear the Bible's call to come to Jesus and live. It doesn't take a computer to figure that out.